One of the tricky parts of running a user generated content site is making sure the content your users are publishing on your web site is high quality enough to rank well after Google's Panda updates and won't get you banned from the AdSense program. Google's Tomer Honen, a six-year Search Quality Strategist vet at Google and now the "Publisher Quality Enforcer" at Google, posted a new guideline document on the AdSense guidelines section named responsibility for user-generated content. In short, the publisher of the site is responsible for all content on the site, even the content generated by users. 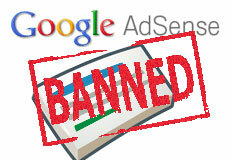 If that content is not in accordance with Google's webmaster and AdSense guidelines, then you are out of luck. Tomer Honen explained on Google+ the document is "designed to help AdSense Publishers manage policy-compliant networks and deal effectively with user-generated content." Add keywords filters, e.g. adult content, pay-to services, hacking content, gambling content, etc. Although we're unable to provide information on "keyword filtering" or "content filtering", you may wish to search for this information on Google.